Thamsanqa Sangweni will hope to hear from Maritzburg United this week regarding his trial at the club. 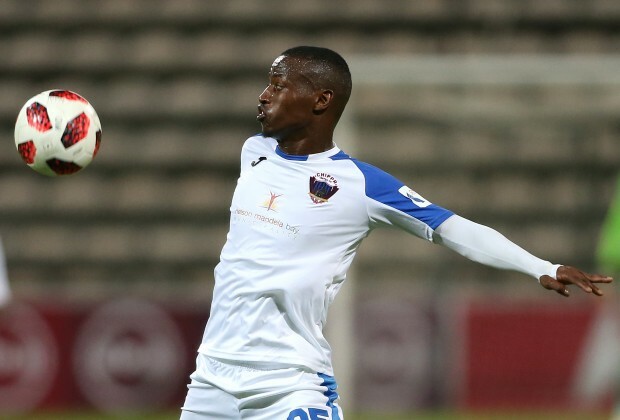 Sangweni’s search for a new club has taken him to his home province, where he has been training under his former coach Eric Tinkler, after parting ways with Chippa as part of the Port Elizabeth club’s reshuffle in January. Having managed to secure his first win as coach of the Pietermaritzburg outfit against Polokwane City on Friday, with new signings Thabiso Kutumela and Miguel Timm among the players who played a big role in achieving that feat, Tinkler could decide to add Sangweni to his squad for the remainder of the season, according to sources. The Dondotha-born player made eight Absa Premiership starts for the Chilli Boys this season before he parted ways with the club. The 29-year-old returned to Chippa this season, following an unsuccessful one-season spell at Orlando Pirates, due to lack of game-time. Maritziburg must sign Sangweni that's the strong man in the mingle. There's still no room for Thabo Senong on the Bafana technical team.